← Northampton “Castle Green” one step closer with fab new Artists Impression. The handover of keys at the new Northampton Railway station will take place on Monday 12th January and included in his tour of the station will be a presentation by Pixel Creative Technologies and the Friends of Northampton Castle. The railway station and tracks stand on the site where Northampton Castle once stood. Though some remains are still buried under grass on the opposite side of St Andrews Road. Mobilising local opinion, the Friends have been able to gain some significant acknowledgement for the Castle in the way the new station has been decorated. Pixel Creative Technologies is a new Northampton small business which has grown out of an earlier University of Northampton project. 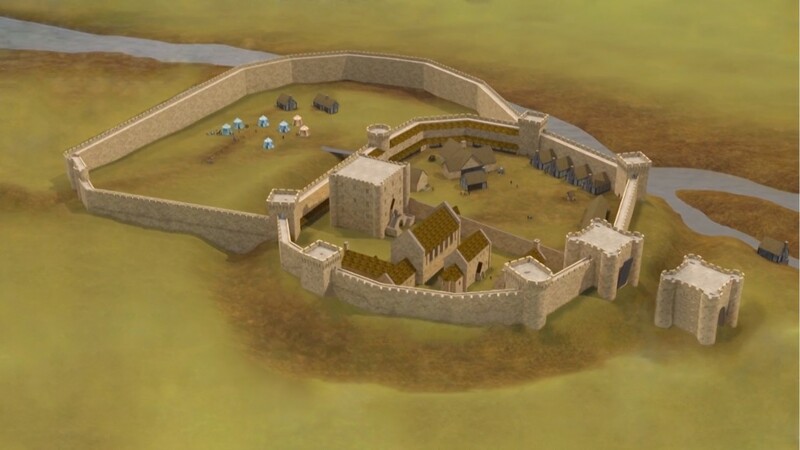 Friends of Northampton Castle’s collaboration with the then NVision, led to a series of online re-creations of the Castle and its environs. Now with the addition of Oculus Rift, the Castle can be experienced from the inside.